A fully functional demo that never expires comes as a bootable USB image. Its purpose is to show Windows users the flexibility of running FreeBSD off a USB flash drive that works immediately as a server. 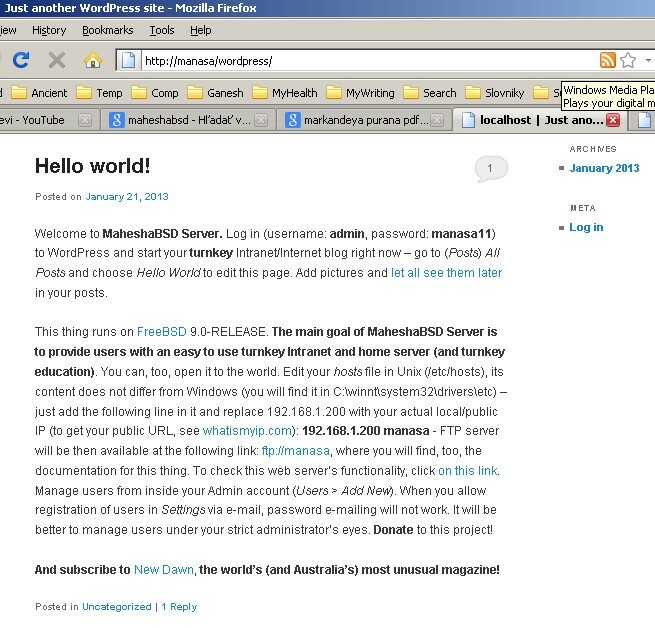 FTP server supports quotas; MaheshaBSD Server is the only preconfigured WordPress server that immediately runs everywhere. The biggest advantage of this software is portability. Anybody can operate his/her home server anywhere in the world. These days, almost everyone has a website or a server, and it's important that those websites are always up and running. A secure, agile and user friendly FTP and HTTP server for Windows. DNews Server is a fully featured Usenet News Server.